I totally forgot about this months post until this morning. I couldn't even remember if I had taken any pictures of my two together this month. But luckily I have and I just couldn't pick a single favourite. This month has been lovely. I feel like as Parker gets older and interacts more, Paige has so much fun with him. 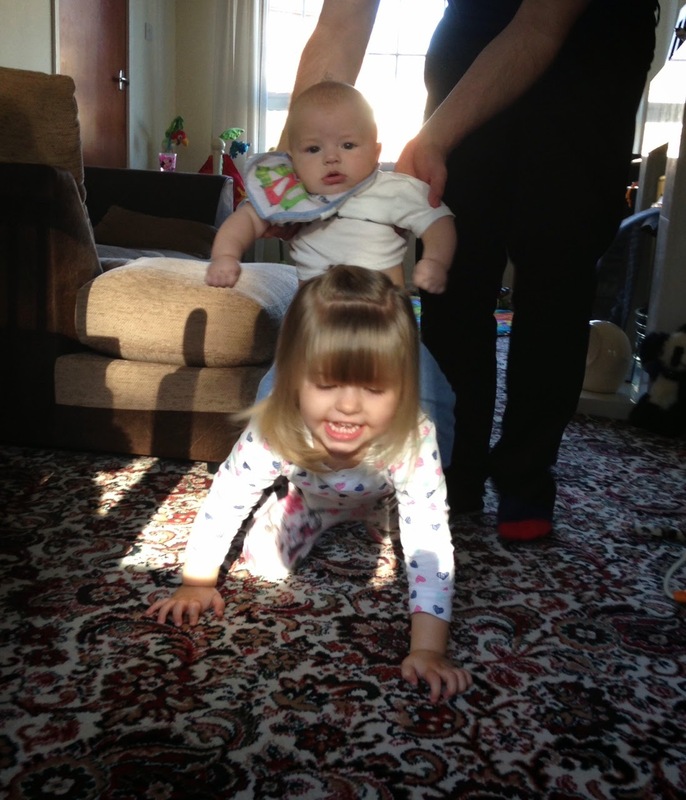 Her current favourite things to do are giving him horsey rides and blow raspberries on his belly. He loves every second of it. As soon as she catches his eye he is all smiles and Paige will do anything to make him smile. Parker has learnt to roll from his back to belly within the past month and Paige loves this. They play there own little game of Parker rolling over and Paige rolling him back. They both find it so funny. This was what I was waiting for when I first found out I pregnant again. I couldn't wait to see both my babies together and enjoying each other. I think that's the beauty of having two. The look of pure and utter love that is so plainly written on there faces is heart melting. The little smiles or squeals of laughter from Parker and the big kisses from Paige. They are both getting so big. Paige is 2 and a half this month and Parker will be 5 months old not long after. Aww she's just the best big sister isn't she! I love the photo of her blowing raspberries on his tummy; his expression is pure joy!